I am in the process of accumulating parts for a new computer. I decided to replace my old home-built PC with a “green” PC – one that is quiet, has reduced power requirements and contains limited hazardous waste. 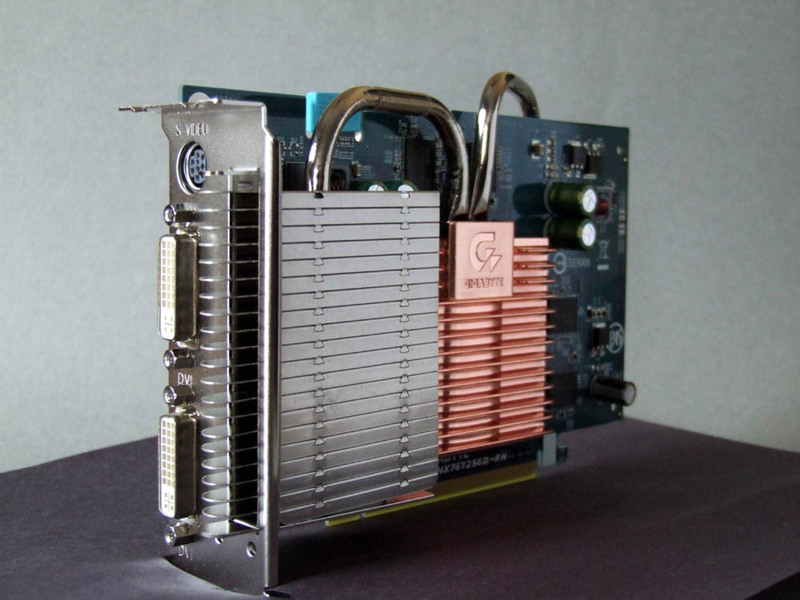 One of the coolest parts is this Gigabyte graphics card. It is based on the Nvidia 7600 GT GPU and is passively cooled using a system of tiny radiators and heat pipes. The card has very modest power requirements (about 14 watts at idle and 35 watts under full load) and contains no lead. The impressive retro-futuristic design is totally functional, drawing cool air through the bottom radiator and expelling heat through the top radiator (mounted on the back side of the card) using simple convection. It is an amazingly good piece of design work.